natural beauty of the area have made the Huasteca a favored destination for summer vacationers from all over Mexico and elsewhere. 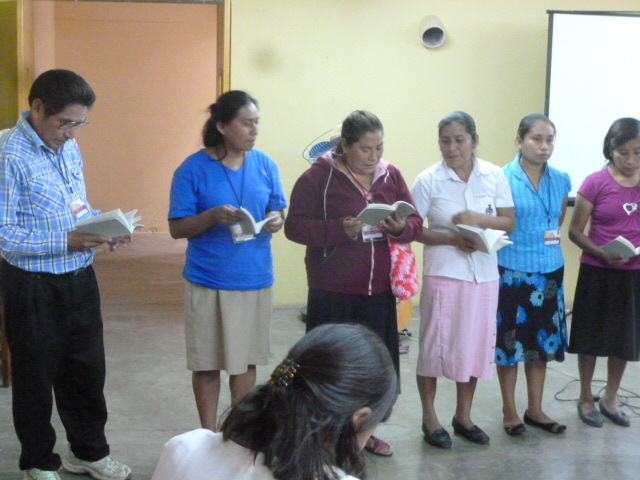 For several decades, two churches in the Region have maintained contact with Disciples of Christ churches in cities and towns of the State of San Luis Potosi and surrounding States. 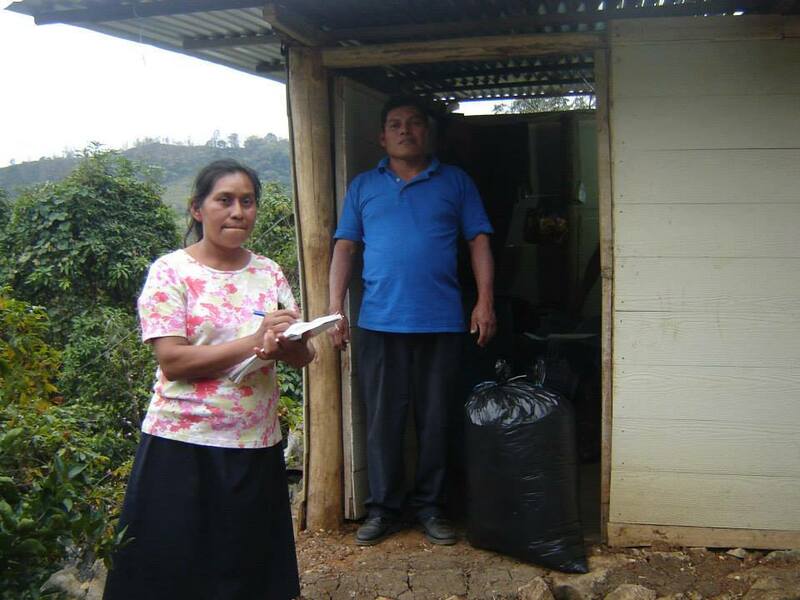 Last year, the national Disciples Women organization began a coffee project to enable purchase of the high quality Huasteca-grown coffee from women of the Church in “La Joya” (the jewel in English). Although less than a year in operation, the “La Joya Divina” project has benefited women and families in the Huasteca in some significant ways. For an update on the project, funded initially by a grant from the UCC/Disciples of Christ Global Ministries, we interviewed a month ago the Coordinator of “La Joya Divina” Sra. Nohemi Nidia Bravo Pardo. Se maneja por mas de seis horas desde San Luis Potosí, atreves de montañas y colinas, hasta el pueblo de Xilitla, que está arropado en el fondo de una montaña en la Sierra en la Región de la Huasteca Potosina. En esta Región viven indígenas, quienes han mantenido las lenguas Huasteca y Azteca y cuyo estilo y costumbres de vida guardan mucha similitud con los habitantes del México de antes de la Conquista Española. Un vuelo a estos retiros promete un escape de otras culturas, así como de la Española. Actualmente, la brisa fresca de la montaña y la belleza natural de esta área ha hecho de la Huasteca Potosina un destino favorito de los vacacionistas de México y de otras partes. Durante varias décadas, dos Iglesias de la Región han mantenido contacto con las Iglesias Discípulos de Cristo del Estado de San Luis Potosí y Estados circunvecinos. 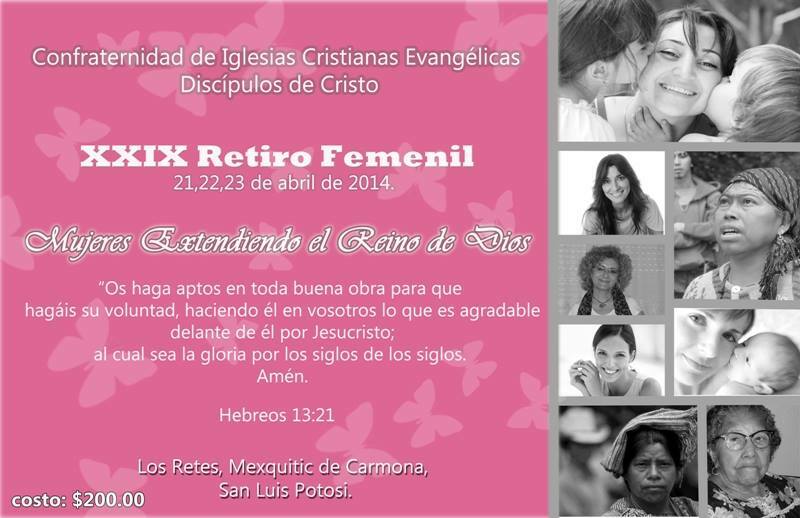 El año pasado, la organización de la Sociedad Feminil de los Discípulos de Cristo en Mexico, iniciaron un Proyecto para poder comprar el café Huasteco de alta calidad vendido por las mujeres de la Iglesia de “La Joya”. 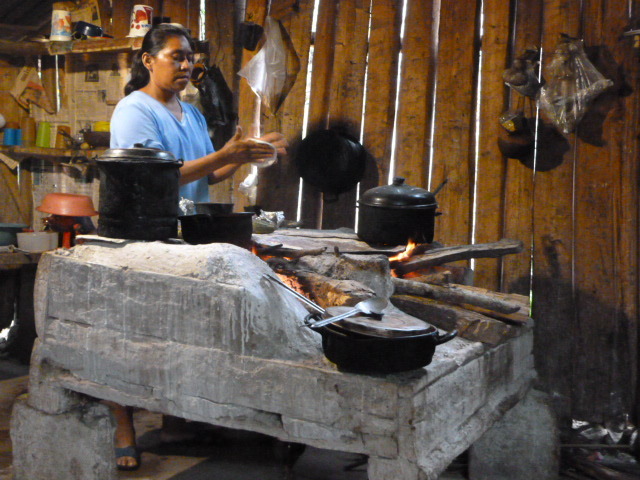 Aun con un Proyecto de escaso un año de iniciado el projecto “La Joya Divina” ha beneficiado a mujeres y familias de la Huasteca de una manera significativa. Nos llena de satisfacción el avance del Proyecto y el aporte económico de los Ministerios Globales de la UCC/Discípulos de Cristo que proveyeron la semilla de los fondos. Aqui abajo es una entrevista con la Sra. Nohemí Nidia Bravo Pardo, Coordinadora de “La Joya Divina”. We thank Sr. Hemer Sierra Silva for his Spanish translation of the introduction. Below is the interview translated from the original Spanish transcript. 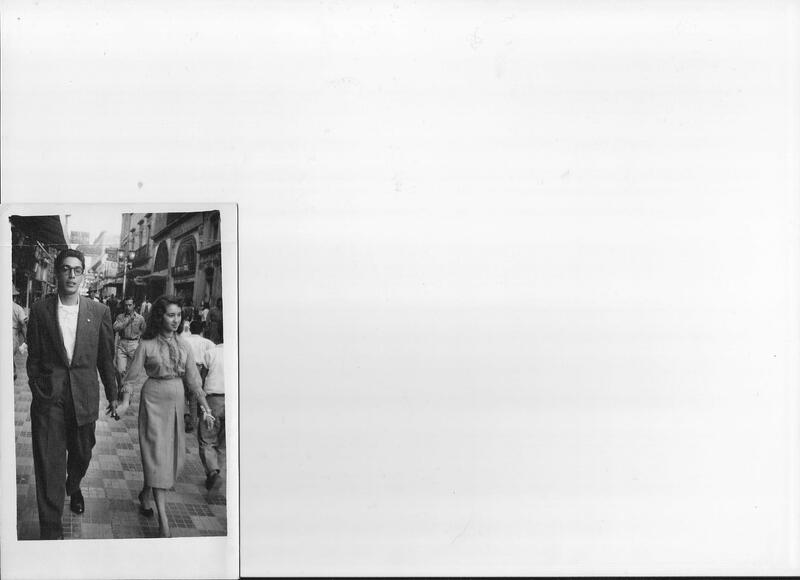 Several photos follow the Spanish text. 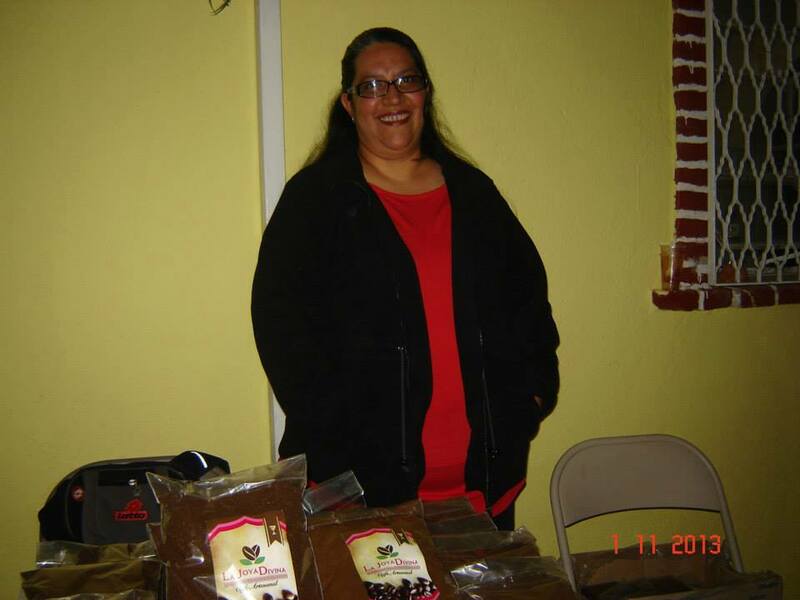 In the Huasteca area of the State of San Luis Potosi, indigenous men and women are taken advantage of in their sale of the coffee they have grown. They sell their picked, unprocessed coffee at two and a half pesos the kilo. Those who buy it, grind it and sell it at 30 pesos the kilo. 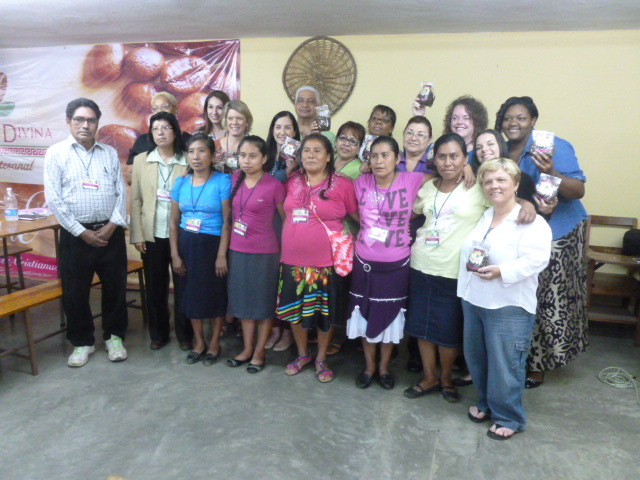 The Board of the Disciples Women agreed in our 2012-13 program year to buy their processed coffee ready for consumption at a just price and sell it on our own. That is to say, we committed to help them with the marketing and sale of their coffee. To carry the project out, they named me as Coordinator, responsible for organizing the sale of the coffee. So I, as the Coordinator, am accountable to the Executive Committee of the Disciples Church and to the Board of the Disciples Women. They supervise the project. 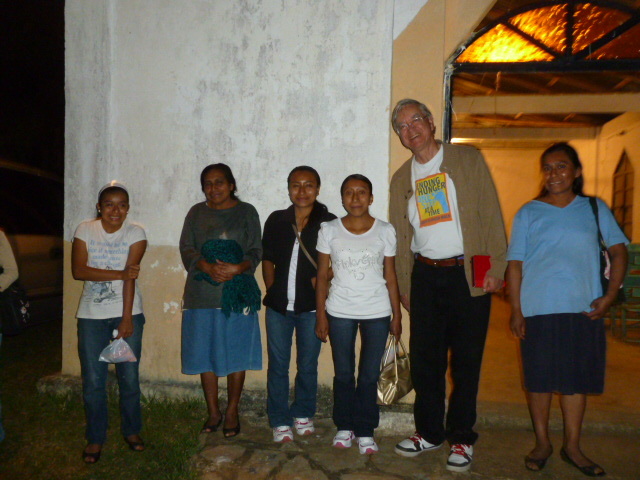 I became President of the Disciples Women for the 2012-13 program year and in 2012 made a visit to our churches in the Huasteca noting that their needs had increased since the last time I visited. Instead of the deep poverty there diminishing, it had actually increased. Our sisters and brothers there were not eating well; they ate twice a day and were usually restricted to a diet of tortillas, beans and coffee. That was it. But the feeling among them was this is what we have and we are going to be content with what we have. All those who went on that trip picked up on that feeling and were moved by it – that is, my sister in law, my husband and children and Jemimah Duran, the current President of Disciples Women. When we got there, the women came out of the forest and always offered us something to eat. It was a package containing what they ate – folded over tortillas with chiles inside – and a lot of it. We were really touched. We had thought about a coffee project before but without the resources we had gotten nowhere. But the same year as this Huasteca visit the possibility of some startup funds presented itself. We became aware that year that Global Ministries in the U.S. was going to provide Disciples Women in Mexico with around $7000 for micro enterprise development. 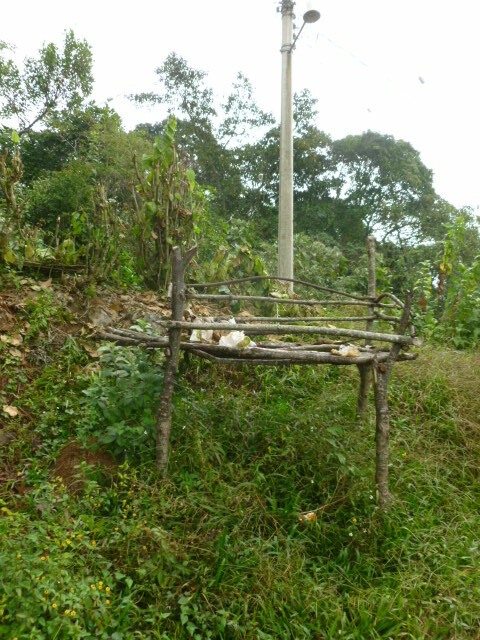 So we were ready to consider helping the women in the Xilitla area of the Huasteca with this project. Other Board members of the Disciples Women were quite aware of the situation in the Huasteca (the annual DW retreat had been held there a few years ago, ed.) and we agreed this was the best use of the funds. So what was our plan at the time? Well, we saw it as “commercializing the coffee production” of women in the area. So how did you go about the start up of the “La Joya Divina” project? 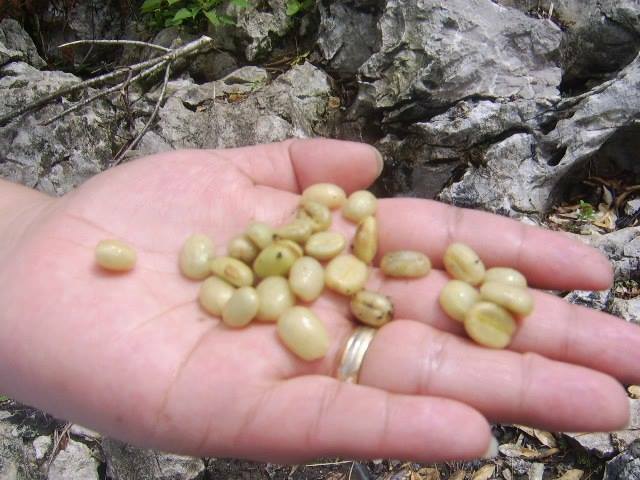 We organize trips we call Volunteer Mission Trips to the Huasteca’s La Joya Disciples of Christ Church with the intention of buying coffee from the women there and returning with it to the cities and towns of other Disciples women to sell the coffee. This year we plan to make at least 4 trips to buy and bring back more coffee. This coming Monday Mary Helen from the Los Retes Church on the edge of San Luis Potosi (who has visited regularly the La Joya Church since 2010) will be taking a group from the Guadalupe, Zacatecas Church to the Huasteca. These Mission Trip participants are responsible for covering their expenses and another group has already volunteered to go in March. 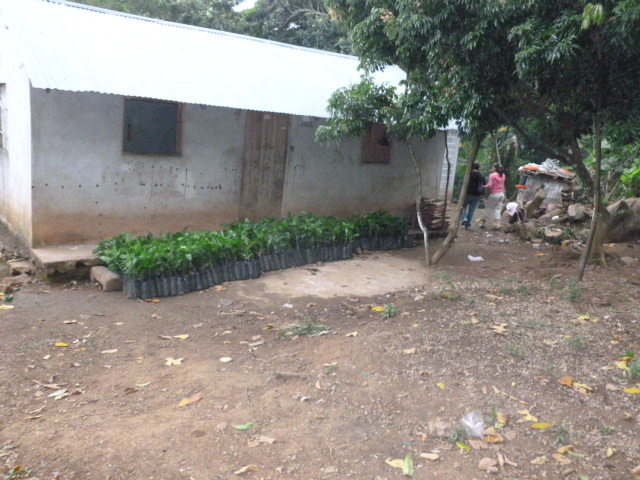 In the La Joya Church there are 15 women actively participating in the project processing and selling the coffee to us. AmoTng them is a Project Coordinator Dolores Anaya. Her role is to gather up and buy the coffee from the women, package it up and keep the accounts and deposit in the bank the payments I send when she mails us coffee between the trips we are making. So what are the benefits for the participants you’ve seen so far? The first time we bought coffee from the women one of them told us how her son had been admitted to “Prepa” (three year preparation for university equivalent to last years of high school in U.S., ed.) but had been told that without purchasing a uniform and the required books he wouldn’t be able to attend. She of course had been saddened by the fact there was no way they could buy these for him. When we paid her for the coffee she began to cry and asked if she could bring another gunny sack full of coffee to sell. On her return she told us she had never before earned cash for herself and her family. She then went to buy the uniform for the boy. It was very satisfying for us to see how the project had helped this woman in a practical, concrete way. There is also a financial benefit for the women in the cities and towns who are selling the coffee. We take them the coffee and let them have it on consignment; when they sell it they send us the money for however many kilos they have received. Whatever profit they have in the sale they get to keep. So this is another group benefiting from the project. 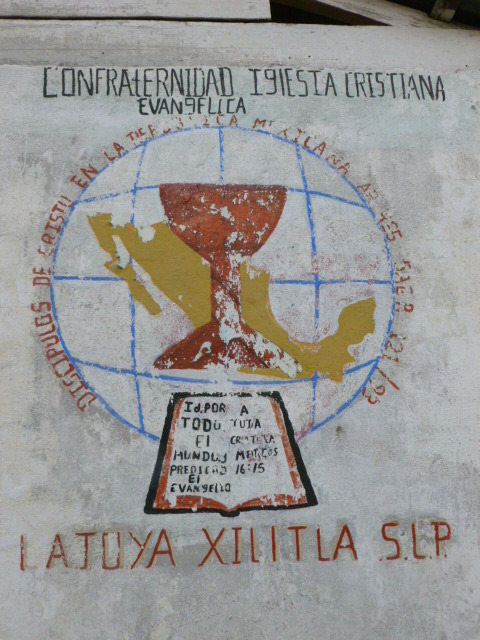 How did the Disciples begin this relationship with the Huasteca Region? Around 35 years ago Pastor Bernabe Lara of the Disciples Julien Carillo Church in San Luis Potosi got to know and work with Pastor Francisco Hernandez who was serving three churches in the Huasteca including the La Joya Church. A little while later, Pastor Francisco decided to bring his churches into the Disciples with the support of the Julien Carillo Church. 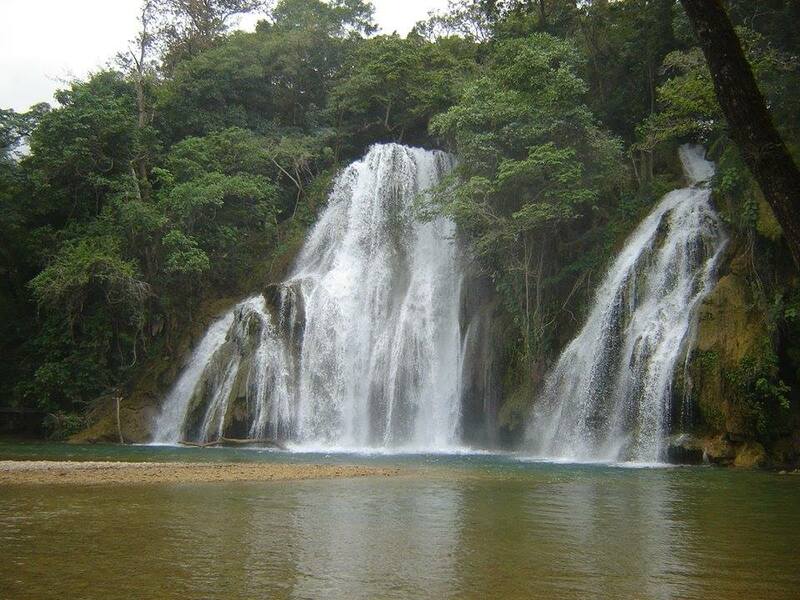 So members of Julien Carillo began to visit the Huasteca at least once a year. I grew up in that Church so I too had the opportunity to go but then around the year 2000 we sort of lost contact with the churches there. 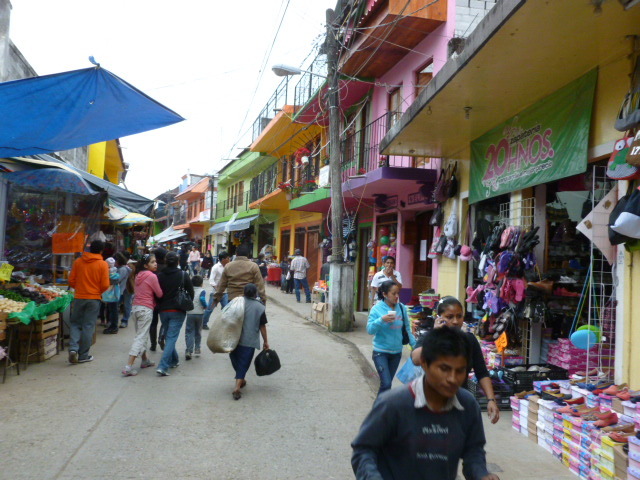 Aside from the difficulty of getting to the Huasteca there is the poverty one has to deal with. Around 2008 we began thinking about how we could really help the people there. We were sending some offerings to the churches but we wanted to find another way to help. At that time we didn’t consider how the people there grow coffee and process it, and although it was all done by hand it was good quality coffee. How has the project affected the traditional gender roles of the culture? How do the men see the women now that they are earning some money from the coffee sales? coffee on a comal and grinding it, all domestic labor. Now although normally it is the men who cultivate the coffee plants and harvest the coffee and the women who process it, there are now men who want to be involved in all of it. In the Sierra Huasteca women normally do not speak up. Even now when we visit the women will sit quietly some with their heads bowed. This complicated the beginning of the project as we would present the plan and the women would say nothing. So we would ask who wants to participate in the project, who wants to process and sell coffee to us and we would not get a response. Then one day Dolores raised her hand and asked if I could explain what we proposed in the Nahuatl language. They normally only talk Nahuatl among themselves. When I described the project in their language, there was more of a response. We learned from what they said that the women do not bring in money for the household. They look after the family. There are women who do earn something but they are the housekeepers who leave the Huasteca and go work for a family in the cities. Although it brings changes, the project since it comes from the Church has not faced any opposition. In fact, there are now men who want to help out the project. There’s a man who has volunteered to take Dolores to Xilitla any time she needs to mail us a coffee order with the help of the overnight delivery service. There’s also a local council made up of respected men in the community. Normally it is these men who guide the community through moral and political issues. For example, if someone wants to marry a person who is not from the community, it is the local council who must give their approval. So we asked ourselves if we would need to present the project to them for their approval. Without our making a formal presentation they let it be known that since we were from the Church and were clearly honorable, honest people there would be no problem. That was really good news for us as it showed us that the Church in La Joya really carried some weight among the people. It was also good to know that although the gender roles are so very rigid in their culture they saw us women of the city as not representing any threat to them. We plan to be able to recoup the original investment of 85,000 pesos (the help from Global Ministries) within three years. We’ve been at it only a little over six months and have already brought in 12,000 pesos which encourages us to think that we are on track to begin the second stage in three years. The project has three stages. The first consisted of the investment in a scale, packages, sacks and the coffee and we still need to buy a packages’ sealer. 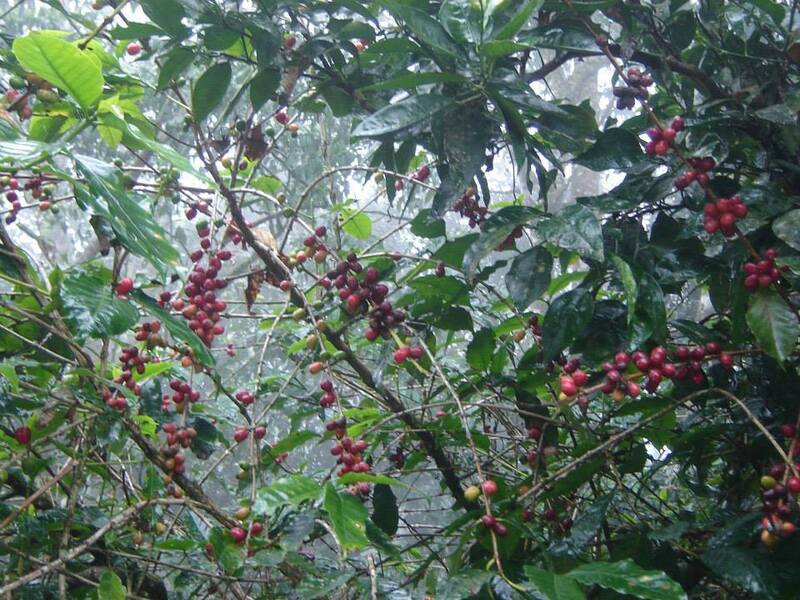 In the second stage we want to “semi industrialize” the processing of the coffee for sale. “Semi industrialize” would include building a site to prepare the coffee for export. That means having a toaster machine and packaging equipment at the site. We could build a plant next to the church in La Joya but lack of power would be the challenge right now. So we’ve projected a 2020 date for the building and having everything ready for exporting the coffee. And the third stage of the project is to begin another project elsewhere to develop the local economy and opportunities for women. Are there benefits other than the financial and economic for the participants in this project? Yes, there is more openness now among those who participate. The way they relate to us women of the city is different. Before the lines were clearly drawn: we are from the Sierra and you all are from the cities. Before they emphasized the difficulties they had in taking part in events organized by Disciples Women. Now one of the woman has told us there is no excuse for them not to participate in such events even when they take place several hours away. Evidence of their commitment in that area is how they now have set aside funds for some of their women to go to these events. It has also really impressed me how they are talking about now being able to help the Church and the pastor with their needs. What about benefits for women of the city? We’ve talked about the fact that some of the women earn from their sale of the coffee which they buy at a wholesale price. Even at wholesale prices, what they pay promises to be enough to pay something to those who are now coordinating the project, Mary Helen and I in the cities of San Luis Potosi and Guadalajara and Dolores in La Joya. This project comes from God (“divina”, ed.) and as such it promises to benefit us in economic terms as well as the women in the Huasteca. We hope to learn and experience that a business such as this can bless us and others in many ways. Gracias al hermano Hemer Sierra Silva por la traduccion en Espanol de la introduccion que se halla arriba. Unas photos se muestran despues de la entrevista. ¿Que es el proyecto Mujer a Mujer “La Joya Divina” de las Sociedades Femeniles de los Discípulos? En la Huasteca Potosina, en la parte de la Sierra de Xilitla, los hermanos y hermanas estaban explotados en su venta de su café. Vendían su café a dos pesos con cincuenta centavos el kilo de café seco. Los que compraban su café lo vendían a 30 pesos o más. La Directiva de la Unión de Sociedades Femeniles en el año 2012-2013 acordamos comprar el café listo para consumir de ellos y pagar un precio justo. Es decir nos comprometimos a “comercializar el café”. Al cambio de la directiva me nombraron como encargada del Proyecto, con la responsabilidad de venderlo. Yo, como Coordinadora del proyecto Mujer a Mujer “La Joya Divina” doy cuentas al Comité Ejecutivo de la Confraternidad y a la Unión de Sociedades Femeniles. Ellos son los que supervisan este proyecto. Describe las condiciones actuales en la Sierra. Yo llegue a ser Presidente de la Unión nacional de las mujeres en 2012-13 y visite la Huasteca en 2012 viendo que la carestía era mayor a diferencia a lo que había visto en años anteriores que había ido. En lugar de disminuir la pobreza aumentaba. Los hermanos no comen bien, lo máximo que comen es dos veces al día y su comida regularmente es tortilla, frijol y café. No hay más. Pero el sentido fue siempre este es lo que tenemos y este es lo que vamos a disfrutar. Este satisfacción lo proyectaron a los que fuimos, mi cuñada, mi esposo, mi hijo y mi hija y Jemimah (actual Presidente de la Sociedad Fem). Cuando llegamos las hermanas salieron de entre los arboles con un bulto a ofrecernos algo de comer, la comida de ellos y era tortillas dobladas con chile y las ofrecieron con liberalidad. Fue un momento emotivo. Y fue entonces en 2012 que nos informaron que había posibilidad de recibir ayuda para este proyecto que ya estaba pensado desde antes, pero no teníamos los recursos para llevarlo a cabo. 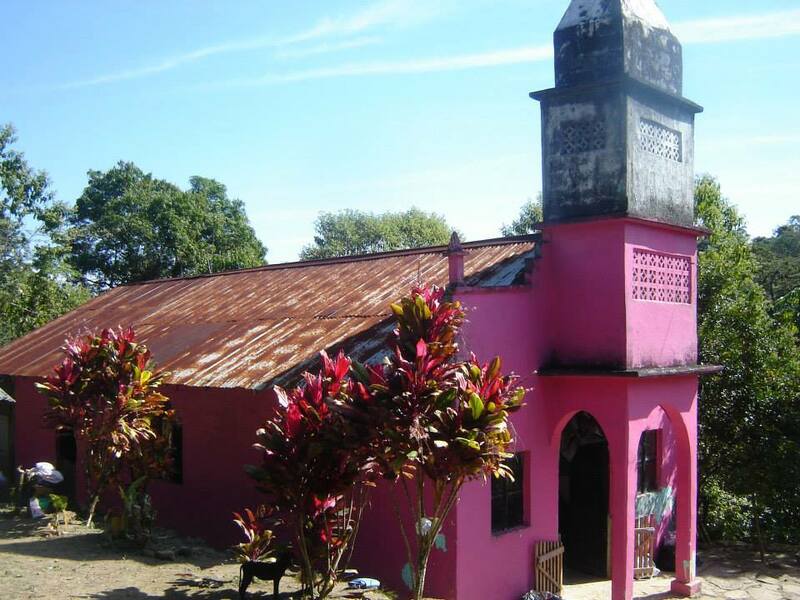 A través de la programa de la Mesa Conjunta (hubo un donativo de alrededor de $7000 US de la parte de Ministerios Globales), con lo que se inició la ayuda a La Joya, Xilitla en S.L.P. La Directiva de la Sociedad Femenil como conocemos la situación de la Sierra Huasteca votamos para destinar los recursos y ayudar con estos fondos. ¿Que vamos a hacer? Bueno, “comercializar café”. El objetivo en aquel entonces fue “la comercialización del café”. Y que hicieron ustedes para que “La Joya Divina” con la ayuda de Ministerios Globales arrancará? 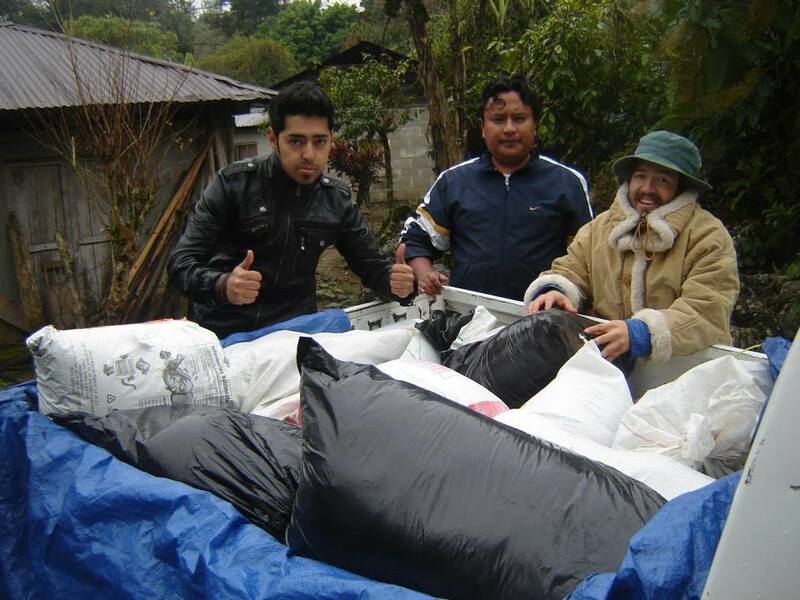 Organizamos lo que llamamos Viajes Misiones Fraternales a la iglesia de La Joya en la Sierra Huasteca, pagamos al contado el café y lo llevamos a los de la ciudad que están vendiendo. A partir de este año 2014 realizaremos 4 viajes al año. Este lunes que viene por ejemplo Elena de la Iglesia de Los Retes en San Luis Potosí (que empezó a visitar constantemente a partir del ano 2010, ed.) con un grupo de la Iglesia Discípulos de Guadalupe en Zacatecas salen para la Sierra. Y ellos asumen sus propios gastos. 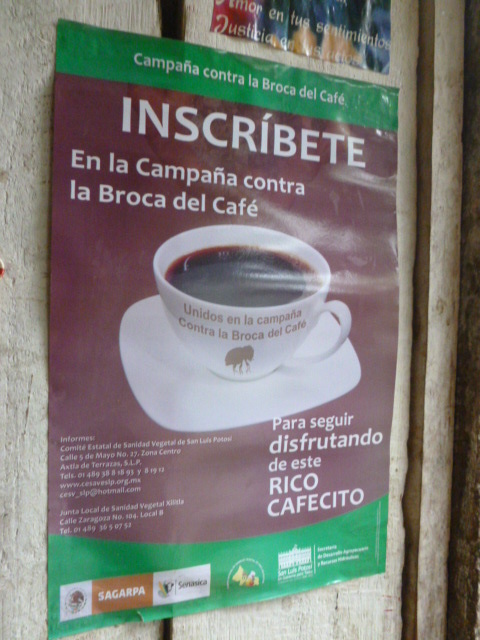 Otro grupo sale en marzo para visitar, comprar y llevar café. Al menos cuatro visitas al año. Aha en la Iglesia Discípulos de La Joya participan activamente 15 hermanas en el proyecto haciendo el procesamiento y vendiendo el café. Tenemos una coordinadora entre las 15 participantes que es la hermana Dolores Anaya. Su función es recolectar el café, comprarlo, ponerlo en paquete y manejar la cuenta bancaria en la cual hago depósitos ella lo envía por paquetería o si alguien viaje nos lo manda. Ya han visto ustedes unos beneficios para las participantes? Un testimonio que me impacto mucho fue de una hermana que después de la primera compra que hicimos nos dijo que su hijo había estado aceptado por entrar en la Preparatoria pero la habían dicho que sin uniforme y sin la compra de los libros el no podía entrar a la Prepa. Y ella estaba muy triste por que no tenia dinero para comprárselo nada. Cuando la pagamos por su café empezó a llorar y nos pregunto si podía traer más café hasta un costal más. Cuando vino con más café nos dijo ella que fue la primera vez que vio un fruto de su trabajo. Fue para comprar el uniforme y se lo llevo al muchacho. Fue algo muy grato, muy satisfactorio sentir como esa compra la ayudo. Ahora hay tambien beneficio financiero para unas mujeres Discípulos de las ciudades en donde venden el café en sus lugares. Se lo entregamos el café a ellas a consignación y nos pagan con el pago que reciben para el café. Cuando ellas lo venden van a pagar el costo por el kilo y su ganancia es de ellos. Este es el segundo grupo que se ha beneficiado de este proyecto. Como empezó la obra de los Discípulos en la Sierra Huasteca? Hace unos anos (alrededor de 35 anos, ed.) el pastor de la Iglesia Discípulos Julián Carillo, Pastor Bernabé Lara, (originario de la iglesia de Los Peregrinos) conocía al Pastor Francisco Hernandez que servia en dos iglesias en la Huasteca incluyendo la Iglesia de La Joya. Y un tiempo después Pastor Francisco se decidió afiliarse con los Discípulos con el apoyo de los de la Iglesia Julián Carillo. Entonces los de Julián Carillo visitaba la Huasteca mínimo una vez al ano. Yo crecí en esa iglesia y tuve la oportunidad de visitar pero desde el ano alrededor de 2000 hubo un tiempo de poco contacto. Además de lo difícil el acceso a esa zona para nosotros en SLP hay también la pobreza. Y alrededor de 2008 empezamos a pensar como podemos ayudar. Buscamos otra forma a parte de llevar ofrendas otra forma de ayudar. Habia perdido de vista que en esa zona hay café y que los hermanos saben procesar el café, en manera rustica pero saben hacerlo bien y es un café de muy buena calidad. ¿Como ha afectado el desarrollo del proyecto los roles tradicional del genero? ¿Como vieron los hombres de la comunidad a las participantes cuando empezaron a ganar mas con su venta del café? Como el hombre esta para proveer y para cuidar. Y la mujer para estar en casa, para la crianza de los hijos, para tostar el café, para labores domesticas totalmente. Ahora aunque normalemente los hombres cultivan y recogen el café y se lo entregan a las mujeres para procesar ya hay unos hombres que están involucrados en el todo. Para las mujeres en la Sierra normalmente las mujeres no hablan. Cuando vamos a visitar no hablan, a veces se asientan con cabeza agachada. Fue un poco complicada cuando empezamos el proyecto por que nosotros explicamos los beneficios y no decían nada. Entonces preguntábamos quienes quieren participar, quienes podrían hacer la producción y no recibimos respuesta. Pero una vez la hermana Dolores levanto la mano y nos pregunto “¿Se los puedo explicar en Nahuatl?” Por que en la Sierra entre ellos hablan en Nahuatl. Y cuando los explico en Nahuatl tuvimos un poco mas de respuesta. Nos dimos cuenta que la mujer no gana activamente en la comunidad. Ellas tienen la familia. Hay muchachas que salen a trabajar como trabajadora en casas pero tienen que irse a otro estado a hacerlo. Hasta ahorita como el proyecto es de la iglesia no hemos tenido reacciones desfavorables. De hecho hay hermanos que respaldan a las hermanas en el proyecto. Hay un hermano que la lleva a la hermana Dolores cada vez que quiere llevar café hasta Xilitla para mandarlo hacia nosotros. También hay un consejo local conformado por miembros respectados en la comunidad. Normalmente son ellos que moralmente administran la comunidad. Por ejemplo si alguien de La Joya quiere casarse con una persona afuera de la comunidad hay que pedir permiso a esas personas. Entonces lo que nos preguntábamos era si seria necesario tener aprobación del proyecto por estas personas. Y nos dijeron que como era de la iglesia y como eramos gente honorable no es un problema. Fue muy buena noticia para nosotros. Y que la iglesia La Joya tiene reconocimiento por la comunidad. Aunque es muy marcado los roles de genero no hemos (las mujeres de la ciudad ed.) experimentado ningún rechazo de la parte de los hermanos. ¿Cuales son los planes para el desarrollo de “La Joya Divina” en el futuro? Nosotros pensamos que vamos a recuperar la primera inversión de 85 mil pesos (la ayuda de Ministerios Globales) dentro de 3 anos. Ya llevamos medio ano y hemos recibido hasta ahora 12 mil pesos lo cual nos alienta planear que en tres anos vamos a recuperar la inversión y empezar la segunda etapa del proyecto. Nuestro proyecto tiene tres etapas. La primera inversión fue para comprar basculas, paquetes, bolsas y tenemos aun que comprar una selladora y la compra del café. En la segunda etapa queremos semi-industrializar el proceso de preparar el café para la venta. Semi industrializar la producción y preparar lo necesario incluso un sitio para exportar el café. Entonces construir un local para preparar el café con tostadora, paquetería y todo. Podríamos erigirlo allá cerca del templo de La Joya pero la cuestión de la energía ahora nos impediría. De todos modos pusimos la fecha del año 2020 para lograr con este plan. Y la tercera etapa que proyectamos para 2021 seria patrocinar otro proyecto de ayuda en otro lugar. Hay unos beneficios a parte de lo financiero para las mujeres que participan en el proyecto? Si, entre las que participan hay mas apertura. La forma de relacionarse es diferente a como la que veía antes. Si antes fue muy marcada nosotros somos de la Sierra y ustedes son de la ciudad. Antes las hermanas veían que era muy difícil que ellas participen en los eventos de la Sociedad Feminil como Confraternidad que tenemos. Ahora no, una hermana nos dijo que ya no hay pretexto para decir que nosotros no tenemos. Ahora pueden convivir con nosotros. Yo creo que lograron avances en todas las áreas, hasta armaron un plan que van a apartar una porción de lo que ganan del proyecto para participar en los eventos de la Sociedad Femenil de la Confraternidad. Y también me llamo mucho la atención que han hablado que de sus ingresos van a apoyar a la iglesia en caso de necesidad del pastor o otra necesidad. Las hermanas de la ciudad, tiene también un beneficio económico se les da un precio de mayoreo y la ganancia de la venta es para ellas, y lo que pagan va directo al proyecto. Elena y yo, no recibimos algún salario por lo que hacemos en cuestión de coordinación y viajes, pero esperamos ya que este consolidado el proyecto también poder recibir ayuda. La “Joya Divina” proviene de Dios y creemos que Dios nos bendecirá también en la área económica. Como a través de un negocio se puede bendecir a nosotros y a los demás. 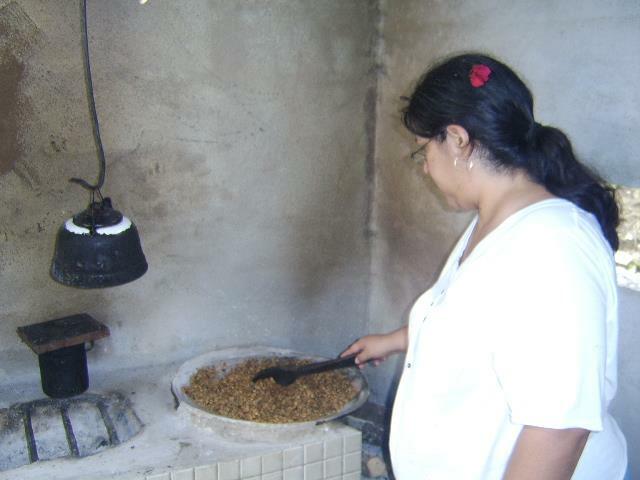 Coffee Project Coordinator Dolores Anaya in her kitchen. Grinder for coffee is seen in background with a bowl cover. The first step in grinding the coffee beans. The wooden mortar and pestle resembles the essential tool used in Africa and worldwide. 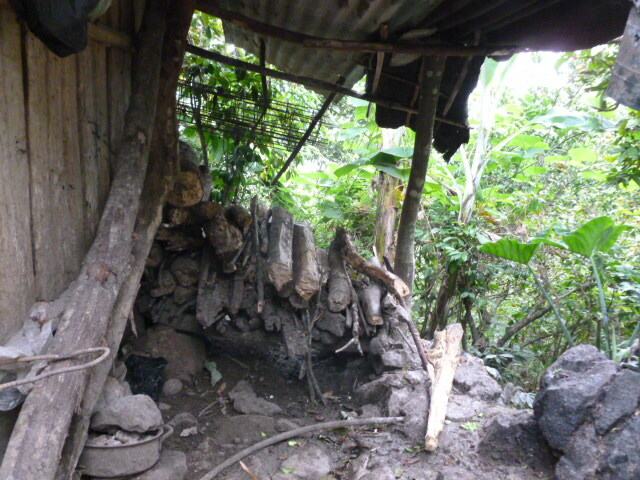 Will the coffee project help enable families on the mountain to begin cooking with gas or electricity? We are happy to share the following testimony written by a beloved friend to accompany the previous posting of Erasing Borders, “A Camp to Remember/Un Campamento Inolvidable”. 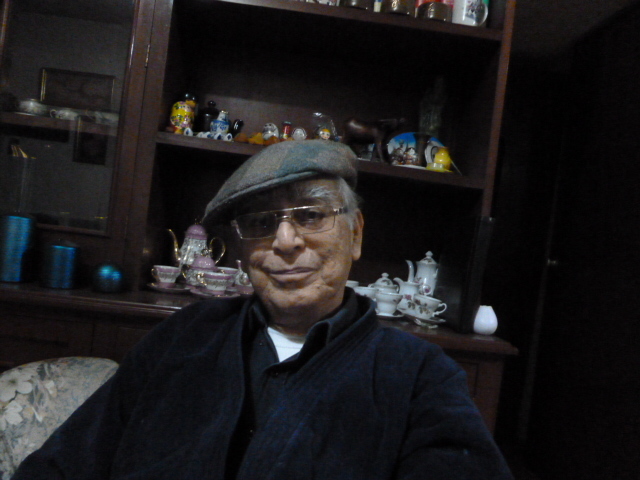 Sixty two years ago, Hemer E. Sierra Silva attended the Huentepec Camp of Disciples of Christ youth in Mexico and it changed his life forever. 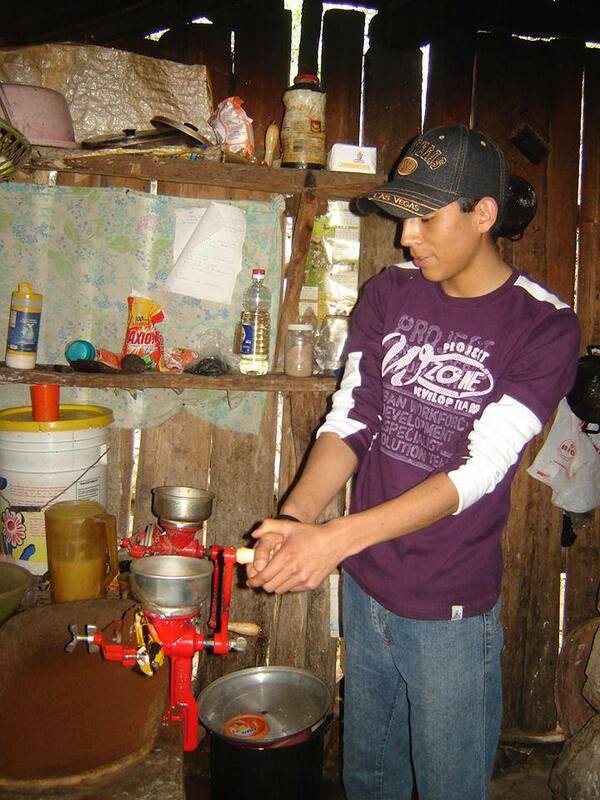 After he read the Huentepec article on the blog, he told us he had always wanted to write about his own Huentepec experience and here below is his testimony. Hemer, wife Marisela, and children Cynthia (Cindy), Ernesto and Edgar were among the first people we met in San Luis Potosi and have since made us feel part of the family. Doug loves listening to Hemer’s stories about his youth and his forty years working as a chemical engineer with the national oil company PEMEX. He occasionally joins in the conversation of Hemer and a group of friends who want to keep up their English. On first meeting Kate, Marisela volunteered to be one of her Spanish teachers and they now seem destined to remain lifelong friends. Compartimos con gusto el siguiente testimonio que escribió el querido amigo, quien colaboró en el anterior articulo de Borrando Fronteras “Un Campamento Inolvidable”. Hace sesenta y dos años, Hemer Ernesto Sierra Silva ,asistió por primera vez al “Campamento Huentepec” de los jóvenes Discípulos de Cristo, el cual cambió su vida para siempre. Después de que leyó el artículo en el blog, nos comentó que él siempre había deseado escribir algo sobre su experiencia personal en el Campamento Huentepec y esto es lo que escribió. Hemer, su esposa Marisela y sus hijos Cynthia (Cindy), Ernesto y Edgar son de las primeras personas que conocimos en San Luis Potosí y son quienes nos hicieron sentir como en familia. A Douglas le gusta oír los relatos ( sus hijos les llaman “Pato aventuras”) sobre su juventud y los treinta años laborando como Ingeniero Químico en PEMEX. Ocasionalmente Douglas interviene en la pláticas semanales de unos amigos, quienes platican en Ingles , para evitar se les olvide este idioma. La primera vez en que Kate conoció a Marisela se ofreció voluntariamente para también enseñarle Espanol y ahora parece que llegaran a ser amigas de toda la vida. As the firewood crackled and warmed the cool, spring night, we youth that had gathered in the circle around the fire listened to the powerful voice of the great missionary, writer and magnificent preacher Frederick Huegel (whose son John with family also served with the Mexican Disciples, ed.). I had accepted the invitation of my friend in the State Public High Schol, Miguel Gallegos, with whom I had had many deep conversations about the Christian faith. Our talks had sown questions, concerns and doubts that I wanted to explore. My religious advisor with the Catholic Youth Association at that time, Olegario N., never had been able to respond in a satisfactory way to my questions about the numerous statues Catholics worshipped, why we would confess to another person and other questions. I was sixteen years old and Huentepec ( in those days held at the Disciples training center outside Aguascalientes ed. ) was the ideal setting to inspire in me the decision that would would completely change my life’s course. The preacher’s voice urged us to walk with Jesus and with pounding heart and my mind and spirit fully convinced and then driven as though by a powerful force I stood up and then and there accepted Jesus as my sole and sufficient Personal Savior, my Redeemer and my intercessor with the Lord. This chain of events, my doubts about my faith, my attending Huentepec Camp that year with its unique atmosphere, the inspiration of meeting missionaries in attendance like Paul Kepple, Miss Leila Callender and others, all this combined for an impact that makes Huentepec carry for me the meaning of “to leave behind the old ways and become a new person”. andcompanion of more than 50 years and other good and beloved life long friends. There I met the missionary with a great heart named Guy Mantle ( uncle of the famous Mickey Mantle) who helped me to study in the university in the States on a Presidential Scholarship. He also personally supported me financially at times and thanks to him I was able to earn the degree for the career that I had always dreamed about. It would make for a much longer article if I wrote of all the blessings that originated with the great event of my life that took place at the Huentepec Camp. So I give many thanks to the Lord for the Disciples Church that continues to organize this event for the youth today. Tenia yo 16 años y Huentepc (luego ubicado al sitio de la Granja Huentepec de los Discipulos a las orillas de la ciudad de Aguacalientes, ed.) era un lugar ideal para que en una noche estrellada tomara yo la decisión que cambio por completo el rumbo de mi vida; la voz del predicador nos invitaba a caminar con Jesús y con mi corazón latiendo fuertemente, mi mente y mi espíritu plenamente convencidos y como impulsado por un potente resorte me paré y ahí acepté a Jesús como mi Único y Suficiente Salvador Personal , mi Redentor y mi intercesor con el Señor. Esta cadena de hechos, mis dudas, mi aceptación para asistir a Huentepec, la atmosfera única en que se desarrollaba el Campamento, la presencia tan inspiradora de los misioneros que conocí ahí Paul Kepple, Miss Leila Callender, etc. todo esto en conjunto influyeron tanto en mi vida que para mi la palabra Huentepec, significa “dejar atrás el hombre viejo y ser un hombre nuevo”. Todo en mi vida cambió para bien, me convertí y me bautice en MI “IGLESIA CRISTIANA DISCIPULOS DE CRISTO”. Ahí tuve la dicha de conocer a mi esposa y compañera de mas de 50 años, a muy buenos y queridos amigos de toda la vida, ahí conocí a un misionero de un gran corazón, Guy Mantle ( tío del famoso beisbolista Micky Mantle). quien obtuvo para mi la beca “Presidential Scholarship ” ,fue mi aval financiero, y gracias a él obtuve el titulé en la carrera en la que siempre soñé. Seria muy largo enumerar TODAS las Bendiciones que derivan del gran evento en mi vida que es haber asistido a mi querido e inolvidable Campamento “HUENTEPEC” , le doy muchas Gracias al Señor por que nuestra Iglesia organiza este evento .